I am so excited to be playing with my Craftangles DT pack this week! the 'Starry Lights' stencil and the Craftangles coloured Cardstock to make these cards. For the first card, I have used hero arts neon inks with the Craftangles 'Starry Lights' stencil to create the background and to colour the diya. 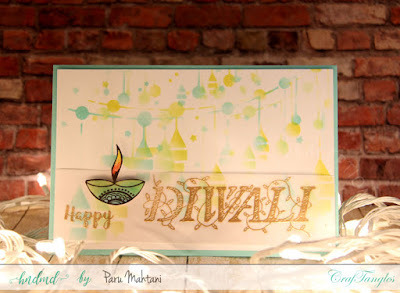 I added a gold embossed sentiment on vellum and used Craftangles Aqua cardstock as the cardbase to finish the card. For the second card, I used the same stencil as above but used Tim Holtz 'Mustard seed' and 'Fired Brick' distress inks to create the background. 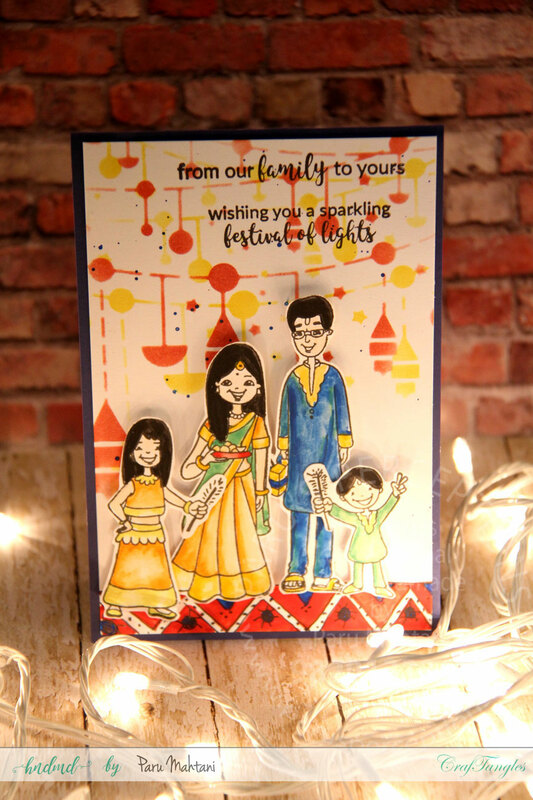 I popped up the water coloured and fussy cut family with foam tape, added the sentiment and then used Craftangles 'Navy Blue' cardstock to make the card base. 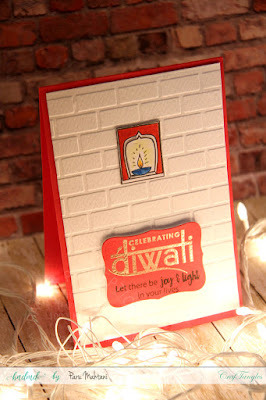 For my third card, I used a brick embossed card panel onto which I adhered the water coloured and fussy cut lamp. I then gold embossed and stamped the sentiment onto Craftangles 'Ruby Red' card stock and used the same card stock to make a card base too. I don't usually use coloured card bases, but I am loving these cards from Craftangles. I have many more colours to play with so stay tuned! !